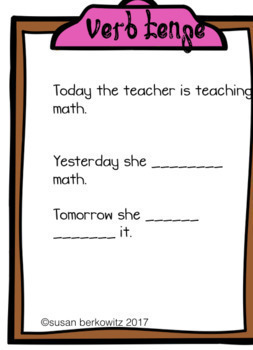 Comprehension and use of syntactic forms is essential to speaking and to writing, both of which are crucial to social and academic success. 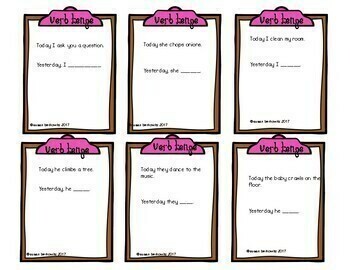 Appropriate use of verb tense is found in the CCSS in Language skills, particularly in the third grade. 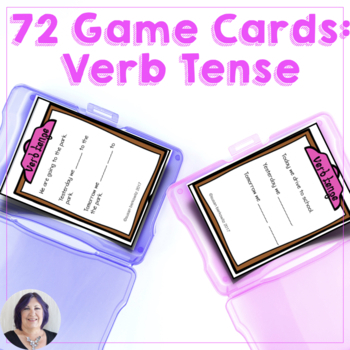 If you are working to meet the needs of multiple students within a group who are at different stages of their verb conjugation skills, these cards have multiple levels of difficulty; using both regular and irregular verbs and practice with both simple and continuous forms of present, past, and future verbs. • 72 cards in total. 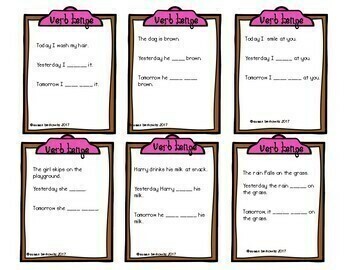 • All provide a present tense sentence, and ask for either a past tense or future tense of the verb or - in some cases - both.